Watch interviews with big celebrities like Taylor Swift, Demi Lovato, Gwen Stefani, One Direction, and Selena Gomez. See pics from the show and much MORE! 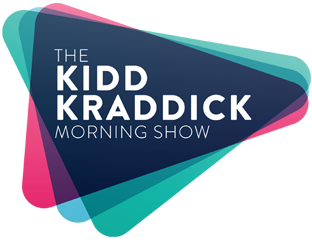 Grab this fun Sticker Pack featuring phrases and more from the Kidd Kraddick Morning Show! Perfect for any KiddNation member… Get it on iTunes! The new KiddNation Stickers for iOS are here! Use them in your texts. What new ones should we add?? Just search the App Store for KiddNation Stickers and get them today… for FREE!